Apparently my floor hockey team isn’t really familiar with brown butter, but love it when they taste it. 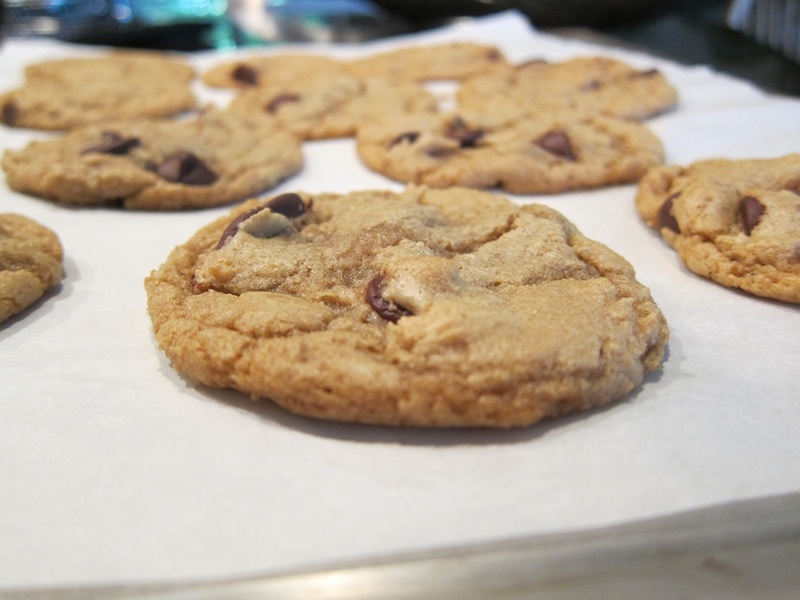 These cookies were rated a close second to the (brown butter) brown sugar cookies that have been the favorite over the last 5 months. Got to make those again tomorrow for playoffs! In a medium pot over medium heat, melt the butter. Continue to cook, stirring frequently, until brown specks start to form in the butter, it turns darker, and it smells nutty. Congrats, you’ve just browned butter. Transfer to your mixer’s bowl and let cool some. You don’t want it to solidify or anything, you just want it cool enough it’s not going to cook the eggs you add later. 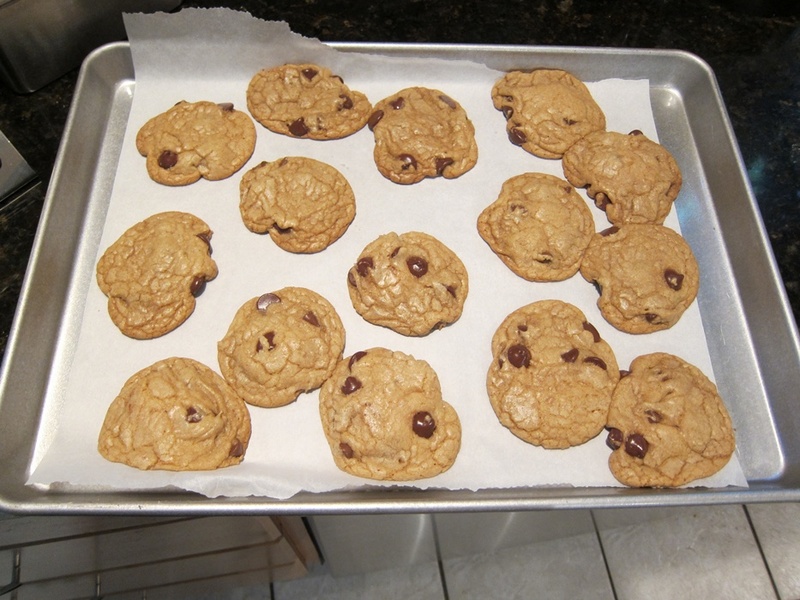 While the butter cools, preheat the oven to 350 and line 2 or 3 baking sheets with parchment paper. Whisk together the flour, baking powder, and salt in a medium bowl and set aside. 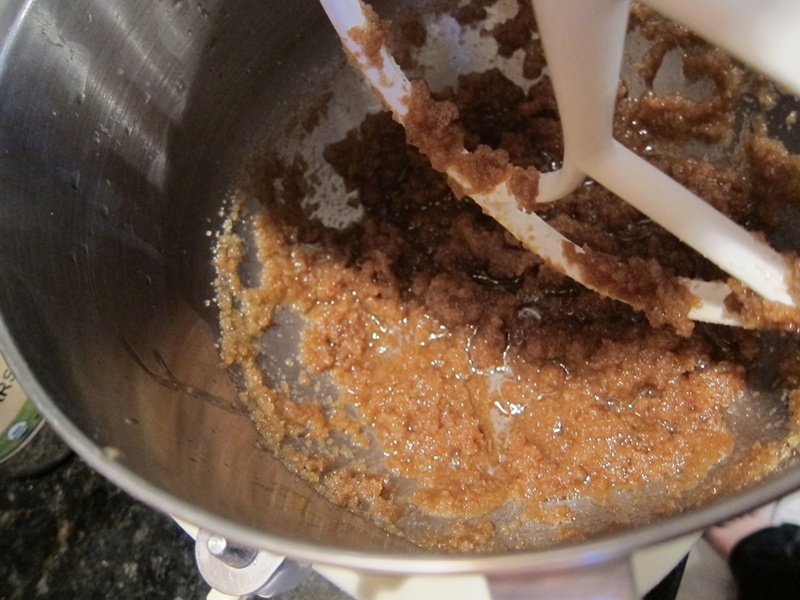 Beat the brown and white sugars into the butter. Add the eggs one at a time, beating after each, followed by the vanilla. 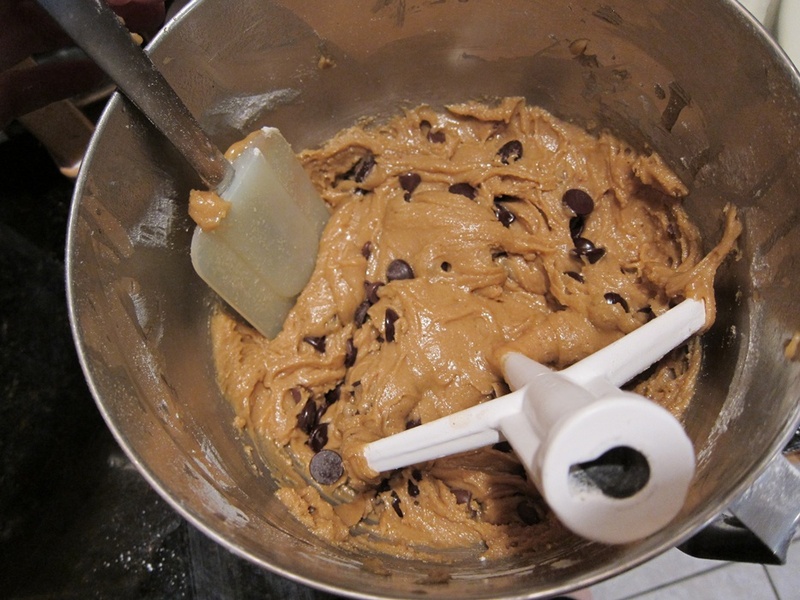 Gradually add the flour mixture, mixing until just combined, then add the chocolate. Spoon dough onto pans in tablespoon-sized portions. If desired, sprinkle lightly with more coarse salt. I forgot to do this, but think it would have been good. The recipe made over twice this many. Bake 10-12 minutes, until lightly browned. Cool on the pan for several minutes, then transfer to a wire rack to cool completely. In a medium pot over medium heat, melt the butter. Continue to cook, stirring frequently, until brown specks start to form in the butter, it turns darker, and it smells nutty. Transfer to your mixer’s bowl and let cool. 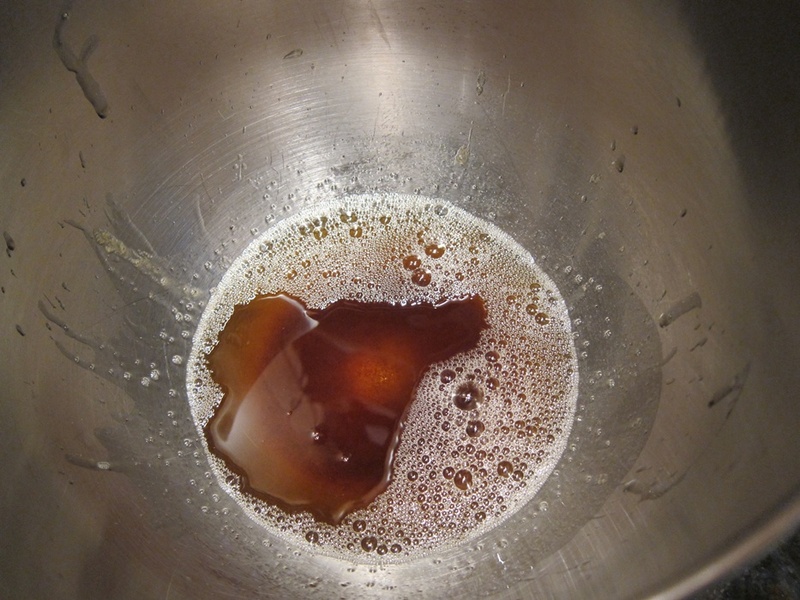 Beat the brown and white sugars into the butter. Add the eggs one at a time, beating after each addition, followed by the vanilla. 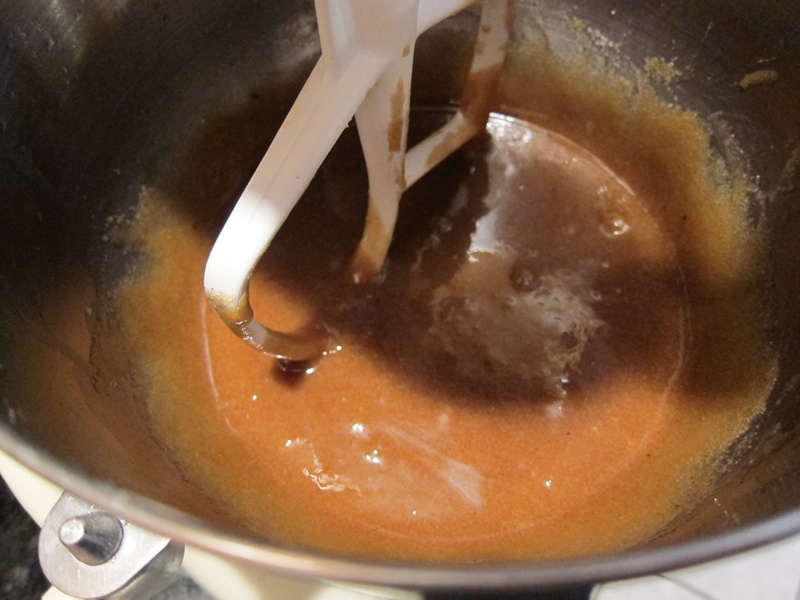 Gradually add the flour mixture, mixing until just combined, then add the chocolate. 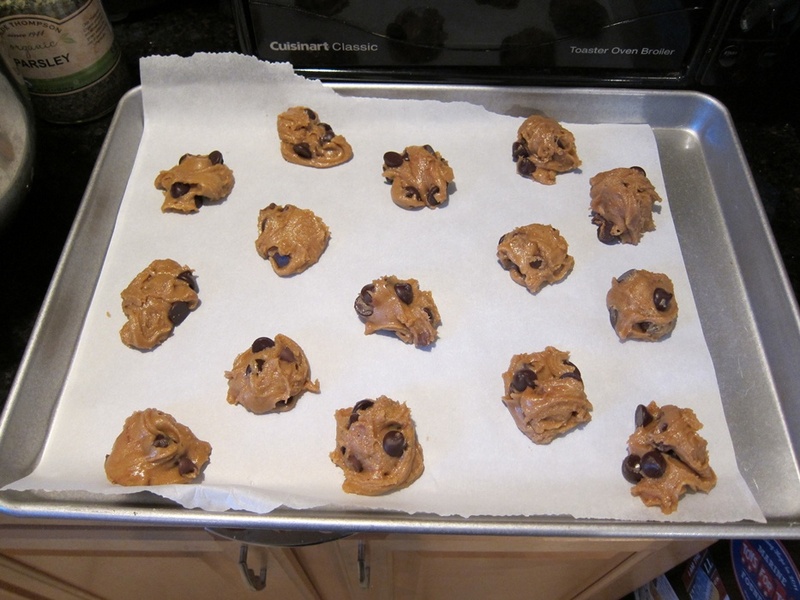 Spoon dough onto pans in tablespoon-sized portions. If desired, sprinkle lightly with more coarse salt. This entry was posted in Dessert and tagged browned butter, chocolate, chocolate chip cookies, Cookies. Bookmark the permalink.